Peter Bradrick - I am speechless with gratitude to the Lord, 8 days after his birth mama and baby are now finally safe at home after an amazing week in the hospital. 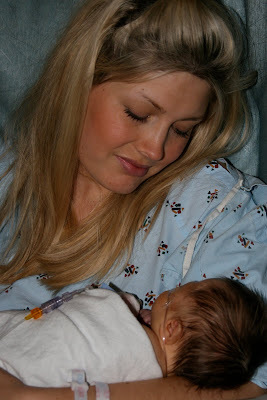 On the morning of the 11th (2 weeks before her due date) we discovered Kelly had a prolapsed cord and rushed her to the hospital for an emergency C-section. 19 min after arriving our third son was born.